A few years ago SeaDoc spearheaded writing a scientific report that got the tufted puffin listed as an endangered species in the state of Washington. It was an exciting bit of public-private collaboration that ushered along what can otherwise be a slow-moving process. 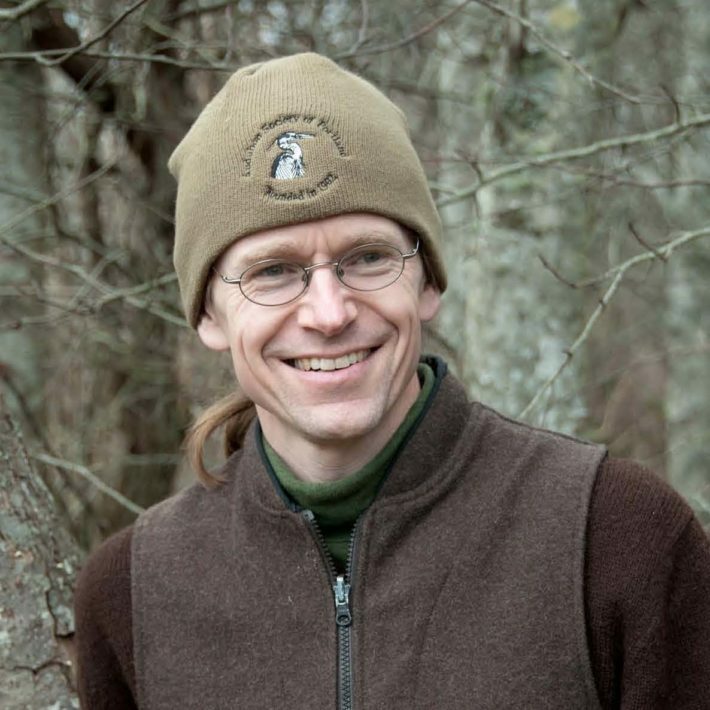 SeaDoc’s latest visiting scientist, Thor Hanson, was instrumental in that effort, and we’re excited to have him on board as we shift our attention toward a tufted puffin recovery plan. Hanson, an author and biologist who grew up in the Pacific Northwest, was the lead writer of the status report in collaboration with SeaDoc Society and the Washington Department of Fish and Wildlife. His career in conservation biology has included research on birds, plants, primates, and bees, and he is the author of numerous popular and scientific articles and books. Tufted puffin populations in Washington have plummeted in recent decades, from an estimated 23 thousand in the ‘80s to an estimated 3 thousand in 2009. Getting them listed as endangered was the crucial first step in a larger attempt to save the species. The recovery plan, which SeaDoc will share as it comes to fruition, will touch on everything from improving prey availably and protecting nesting habitat (puffins come to the outer coast and Salish Sea to breed) to public outreach and education. The public-private partnership between SeaDoc and the WDFW is significant because the process for listing endangered species in Washington has become increasingly log-jammed over the years, mostly due to limited funding and a heavy load. Between 1990 and 2014 there were 27 scientific status reports prepared in Washington, which is about one per year. But new species kept getting added to the list of candidates, and by 2014 there were still 112 species waiting to be evaluated. The main issue has been a lack of staff time, which is where SeaDoc has stepped in, thanks largely to private donations. It’s an innovative arrangement that could be replicated in the future as budget concerns and environmental threats persist. The puffin status report, which moved along much more efficiently than it otherwise would have, is a great initial success for such a model, and that will continue as Hanson helps craft the recovery plan.